Kevin began his career in the electrical industry in 1982 sweeping floors for an electrical distributor in Saginaw, MI while attending high school. 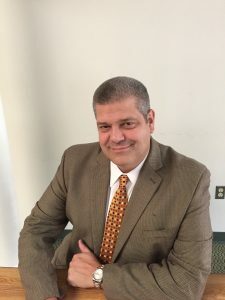 In 1987, Kevin graduated from Michigan State University with an engineering degree and moved to Pennsylvania to join Lutron Electronics and covered architects, engineers, distributors and contractors throughout the US. After a brief stint with an electrical distributor as operations manager for 9 metro locations, Kevin returned to Lutron as a consultant working in Northern California developing the lighting controls market. Kevin had the opportunity to move back to his home state of Michigan in 1992 to join EMI and enter in a buyout agreement with the owners at the time. EMI is thankful to represent some of the greatest manufacturers in the electrical, lighting and A/V industries. We value our long term relationships and attribute our successful growth and development throughout the years to our partners. Kevin has served on the NEMRA board of directors, numerous manufacturer rep councils and continues to serve on NEMRA committees today. Kevin has also been a member of Netcom 1 for 18 years. EMI has offices in Sterling Heights, MI and also Grand Rapids, MI. We warehouse products in Sterling Heights to service the entire state of Michigan. Kevin enjoys Tigers, Lions, and everything Spartans. He has two daughters, Lexi who is a law student at Michigan State University and Lindsay who is currently also attending MSU!